Learn about the Bible’s symbolic imagery of the Messiah as a lamb and a lion with Dr. David R. Reagan on the show Christ in Prophecy. Last aired on December 26, 2010. 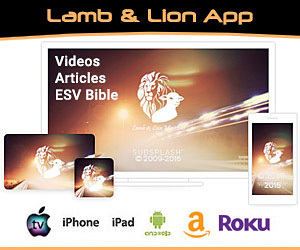 Dr. Reagan: This television program is sponsored by Lamb and Lion Ministries and our logo displays the lamb and lion living peaceably together. Many people believe this symbolism comes from a verse in the Bible that says the lamb and lion will lie down together during the Millennium. But that is not true. First, there is no such verse. Yes, you heard me correctly. There is no such verse. What then does the symbolism of the lamb and lion stand for? For the answer to that question, stay tuned. Dr. Reagan: Greetings in the name of Jesus our blessed hope and welcome to Christ in Prophecy. The ministry I represent Lamb and Lion Ministries is a non-denominational, independent ministry. That means we are not affiliated with any particular church or denomination. And our purpose is not to convert people to any particular group rather; our purpose is to lift up Jesus as the only hope for this world, and to proclaim that we are living in the season of His return to this earth. Our ministry is controlled by a board of 22 trustees who come from a great variety of churches and denominations. What binds them together is faith in Jesus and a conviction that the signs of the time point to His soon return. Because we are non-denominational, I go to a great variety of churches to speak, and we receive financial support from many different types of churches for which we are very thankful. Now one of those churches is the Rose Heights Church of God in Tyler, Texas. A church of about 1200 people who are on fire for the Lord and who believe in the message of this ministry. Each year, usually in September, I go to Rose Heights to preach on a Sunday morning. Last year, when the pastor Doug Anderson called me to arrange a date for my annual appearance, he asked if I could do a couple of presentations about Jesus as the lion and Lamb of God. One during Sunday school and the other during the regular Sunday morning worship service. Well when I told him that I could do that, and that I would be delighted to do so, he then revealed that he had a rather unique idea for promoting the services. He said he was going to arrange for two animals to be on the stage while I preach. On one side would be a lamb and on the other side would be an 800 pound white lion. Well, when I expressed some concern about that concept Pastor Anderson assured me that the lamb would be okay because the lion would be well fed. That’s when I explained to the pastor in no uncertain terms that I was not concerned about the lamb. Rather, I was concerned about myself. Well, as it turned out, the pastor decided that the lamb might be too big a temptation for the lion so he decided to provide only the lion and told me not to worry because it would be inside a very strong cage the entire time I was teaching. Well, when the morning arrived, we received word that when the lion was loaded into its traveling cage, its weight crushed the cage. We were told that the animal supplier was going to send the lion’s cub instead. Now the pastor was sorely disappointed but I was delighted because I imagined a little cub about the size of a kitten. Well, did I ever get a surprise. The cub turned out to be a young lion that weighed about 300 pounds! He was a beautiful creature and although he was very skittish when he first arrived, I think my preaching soon put him to sleep. This week and next week the Lord willing, we’re going to be sharing with you the two messages that I delivered at Rose Heights. The message this week is entitled Jesus the Lamb and the Lion. It will answer the question we raised at the beginning of this program about the meaning of the lamb and lion symbolism as it relates to Jesus. The presentation next week is titled Jesus the Lion of Judah. It will focus on the Second Coming of Jesus. And now, let’s go to Rose Heights Church of God, in Tyler, Texas. Well Doug asked me to relate both of my presentations today to a lion since that’s what we’re going to feature at some point, and so I have done that. These are two presentations I have never presented before and the first one is entitled, Jesus the Lamb and the Lion. Almost every week, in fact almost every day, we receive an email message, a letter, a telephone call, an inquiry from somebody saying, “I know that someplace in the Bible it says the lion will lie down with the lamb, but I can’t find it! I’ve searched and searched and searched. And I know that you must know where it is because the name of your ministry is lamb and lion and that’s your logo, so where is it?” Well, the startling answer is no such verse exists, and people find this hard to believe. I had one guy that just would not accept that answer he said to me, “I have received too many Christmas cards with pictures of lamb and lions for such a verse not to exist!” I guess this particular mythical verse ranks right up there with the one that supposedly says, “The Lord helps those who help themselves.” Most people identify that as their favorite verse in the Bible and that’s another verse that’s not in the Bible. Now, the verse that people are looking for is this one. It’s in Isaiah 11:6-7. “The wolf will lie down with the lamb and the leopard with the kid, and the calf and the young lion and the fatling together. Also the cow and the bear will graze and the lion will eat straw like the ox.” So what it says in Isaiah is that the wolf will lie down with the lamb. Something you very seldom hear, something you very seldom see. The wolf will lie down with the lamb because the wolf is the natural enemy of the lamb. But don’t be misled because there is absolutely no doubt whatsoever that the lamb and the lion will lie down together during the Lord’s Millennial reign, they’re gonna be together. Because all of nature will be reconciled in peace but the Biblical reference is to the wolf and the lamb. I just guess the artist’s have always found it more dramatic to picture the lamb and the lion together. Now, the name of our ministry has absolutely nothing to do with these verses in Isaiah 11. When I founded Lamb and Lion Ministries back in 1980 I sought a name that was related to the ministry’s purpose which was the teaching of Bible prophecy and the proclamation of the soon return of Jesus. My first choice was this name Maranatha Ministries. I loved that name because in the Aramaic language, Maranatha means “Oh Lord Come!”, and that is the desire of my heart. And so I selected that name and submitted it to the Secretary of State of Texas and found out that somebody else already had that name. So I started praying for the Lord to give me a new and distinctive name, and that’s when He laid Lamb and Lion ministries on my heart. I liked the name because it points to the two great prophetic images of the Messiah in the Hebrew Scriptures. You see, the Messiah is pictured in the Hebrew Scriptures as the Suffering Lamb and as the Conquering Lion. As the Suffering Lamb it was prophesied that He would come and He would die for the sins of mankind. As the conquering lion the image is that of the Second Coming. What we call the Second Coming. That one day the Messiah would come in great wrath to pour out the wrath of God upon the enemies of God, upon those who have rejected the grace mercy and love of God. The two images were so distinct that the Jewish sages concluded that there must be two Messiahs. And so they named the suffering lamb Messiah Ben Joseph and they named the conquering lion Messiah Ben David. They could not see and understand that the prophets were talking about one Messiah who would come twice, each time with a different purpose and a different role. Now, the concept of a Messiah as a suffering lamb is rooted in the Passover feast and the requirement that each family take an unblemished male lamb and sacrifice it as atonement for their sins. When the Passover was instituted, while the children of Israel were still in captivity in Egypt, each family was required to put the blood of a lamb on the doorpost, and this served as a sign for the death angel to pass over that particular house and spare the life of the first born child. We know of course that such a sacrifice was insufficient because Hebrew chapter 9 says that the blood of animals is insufficient to purify anyone from sin and that our purification from sin can come only from the blood of Christ who through the eternal Spirit offered Himself without blemish to God. The blood of animals could not atone for sins but the sacrifice was still important because the sacrifice was an expression of faith, and as such it provided a temporary covering of their sins. It did not forgive their sins but it provided a temporary covering. The full forgiveness would have to await the sacrifice of a perfect man, the Lamb of God. And that’s the reason that the Old Testament saints when they died did not go to Heaven. I don’t know if you realize that or not but when Old Testament saints before the cross died, those who died in faith, they did not go to Heaven. Instead their spirits went to a temporary holding place called Sheol in the Old Testament or Hades in the New Testament. That particular place which we remember as Hades, but the Hebrew word is Sheol, had two compartments. The one on the left, paradise, was the holding place of the spirits of the just, the spirits of the saved. On the right was torments, the holding place of the spirits of the unjust, the unsaved, and between them was an abyss that no one could cross. The saved could not go to Heaven and live in the presence of a holy God, because their sins were only covered by their faith they were not forgiven. They had to wait for the sacrifice of the perfect Lamb of God. When Jesus was sacrificed on the cross, we are told that His Spirit descended into Hades and we’re told in 1 Peter 3 that He made a proclamation. It does not tell us what the proclamation was, but we can pretty well guess what it was. That the proclamation was the blood has been shed, the blood of the perfect Lamb of God. And I can only imagine the roar of celebration that must have come from the saints who had been waiting all those years for that glorious news. Now their sins were not only covered, their sins were forgiven and now they could go to Heaven. And that I think is the meaning of a rather enigmatic passage that is found in Ephesians 4:8 which says, “When He, Jesus, ascended on high, He led captive a host of captives and He gave gifts to men. He emptied paradise from Hades and he took paradise to Heaven.” In other words, when Jesus ascended to Heaven, he took paradise with Him and Paul later affirmed this in 2 Corinthians 12 when He said that He was taken up to the third Heaven. The first Heaven being the atmosphere of this planet the second Heaven being outer space the third Heaven being the Heaven where God resides. Paul says he was taken up to the third Heaven which he precedes to identity as paradise, proof positive that Jesus moved paradise from Hades to Heaven at the time of His ascension. Now the image of the conquering lion was used by the Hebrew prophets to symbolize what we refer to as the Second Coming of the Messiah. The Messiah was pictured as a roaring lion who would come to pour out the wrath of God upon those who have rejected the grace mercy and love of God. And I want to give you some examples of this. The Old Testament’s full of them. Let me just give you a few examples. Isaiah 31:4-5, “As the lion or the young lion growls over his prey, so will the Lord of hosts come down to wage war on Mount Zion. The Lord of hosts will protect Jerusalem. He will protect and He deliver it will pass over and He will rescue it.” Or this one from Jeremiah I love, “The Lord will roar from on high and utter His voice from His holy habitation. He will roar mightily against His foe. He will shout like those who tread the grapes against all the inhabitants of the earth.” Or consider this passage from the minor prophet Hosea 11:10. “The Lord will roar like a lion indeed He will roar, and His sons, the Jewish people, will come trembling from the west. They will come trembling like birds from Egypt and like doves from the land of Assyria and I will settle them in their houses.” Or consider this one from Joel chapter three where Joel speaks of the war in Armageddon, the battle of Armageddon. He says, “Multitudes, multitudes, in the valley of decision. For the Day of the Lord is near in the valley of decision. The sun and the moon grow dark and the stars lose their brightness and the Lord roars from Zion and utters his voice from Jerusalem and the Heavens tremble but the Lord is a refuge for His people and He is a stronghold to the sons of Israel.” Wow. In the book of Revelation the apostle John combines these images as no other writer does. He combines the image of the lamb and lion to express the full meaning of Jesus as Messiah. At the beginning of chapter four John is raptured up into Heaven in what I believe is a symbolic form of the Rapture of the Church before the Tribulation begins. And then in chapters 4 and 5 John describes a glorious Heavenly scene of God’s marvelous throne where God is surrounded by a Heavenly chorus and by 24 elders and in front of the throne there are guards, four strange creatures which are representative of all of God’s creation. At first John is just dazzled by all of this. And first he’s just speechless, at first he just focuses on the never ending worship that goes on before the throne of God. But at chapter five, John’s attention in suddenly diverted. His attention is diverted to a little scroll in the right hand of God. And John seems to immediately sense the significance of this scroll because it’s revealed in chapter ten that this scroll is the title deed of the earth. Oh John wants someone to open that scroll, someone to claim it. Somebody to claim the dominion over this earth that Satan stole in the Garden of Eden, to claim it back for mankind. A strong angel suddenly appears and the angel says, “Who is worthy to open the scroll and break its seals?” In other words, who is worthy to reclaim dominion over the earth taking it back from Satan, and John looks around and no one appears to be worthy and John begins to weep and as he is weeping one of the 24 elders steps up and he says to him, “Stop weeping, behold, the Lion of the tribe of Judah, the tribe of Judah, and the root of David has overcome so as to open the scroll and its seven seals.” And when John turns to look at the Lion he doesn’t see a lion he sees instead a little Lamb standing as if it were slain. He looks for the lion and he sees a bloody lamb. The Lamb goes up and the Lamb takes the scroll the Lamb opens the scroll and all of the Heavenly hosts breaks forth in song, “Worthy are you the Lamb to take the scroll and to break its seals for you were slain and did purchase for God with your blood men from every tribe and tongue and people and nation.” Wow, what a glorious scene that must have been, what a glorious scene. In chapter 10, we are presented with a flash forward to the end of the Tribulation that shows Jesus as a mighty angel at the Second Coming. He comes back, He puts one foot in the ocean, one foot on the land, to symbolize that He has come to reclaim dominion over all the world, for you and me. He has in His hand, His left hand, that little scroll that is open and we’re told there in the book of Revelation 10 that He will cry out with a loud voice as when a lion roars. That’s what will happen when the Lord Jesus Christ returns. Well, strangely throughout the book of Revelation, the rest of that book, John uses lamb imagery instead of lion imagery. He uses the lamb imagery over and over and over as he talks about the Messiah pouring out the wrath of God during the Tribulation, the Messiah at His second coming. It is the Lamb who is pictured as pouring out the wrath of God. Look at it, Revelation 6, “The Lamb broke one of the seven seals launching the Tribulation and the kings of the earth and the great men and the commanders said to the mountains and the rocks, fall on us and hide us from the presence of Him who sits on the throne and from the wrath of the Lamb!” Isn’t that interesting how He begins to revert to the use of the lamb as the one pouring out the wrath of God? In Revelation 17 he says, “These will wage war against the Lamb and the Lamb will overcome them because He is Lord of Lord and King of Kings and those who are with him, they are the called and they are chosen and the faithful ones. It is the Lamb who is waging the war in our behalf. I believe that John emphasized the Messiah as our lamb because that symbol is the great price it symbolizes the great price that Jesus paid for the sins of mankind as He hung upon the cross as the suffering lamb. It also reminds us of the Lamb’s vindication as He returns to take earth’s dominion away from Satan. And it emphasizes Jesus is going to receive the honor and the glory that He so richly deserves. The honor and glory that He was denied when He came the first time as the suffering lamb. As we wait for the fulfillment of Revelation’s prophecies let us do two things. Let us exalt the Lamb and let us yearn earnestly from the depths of our heart for the Lion. And as we do so, let us cry out from the depths of our hearts, “Maranatha! Maranatha! Maranatha! Come quickly Lord Jesus! Amen.” And we’ll end with that beautiful picture there of the lamb and the lion. Thank you and God bless you! Welcome back to our studio here in the Dallas, Texas area. I hope that the presentation you just viewed was a blessing to you. 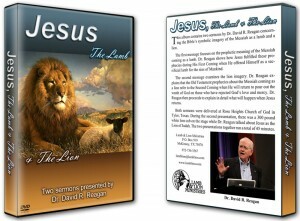 In just a moment, our announcer will tell you how you can get a copy of that presentation on a DVD disc that also contains the presentation we will broadcast next week about Jesus as the Lion of Judah. But first, I want to share some information with you about this ministry. We specialize in the teaching of Bible prophecy with an emphasis on the second coming prophecy because we believe that the signs of the times clearly indicate that we are living in the season of the Lord’s return. We proclaim our message through a variety of methods. One of course is this television program; another is through our website at lamblion.com. There you will find a great variety of materials concerning every aspect of Bible prophecy. 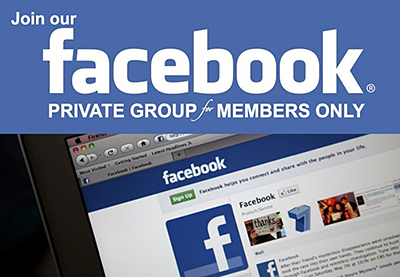 You can also use the website to send in questions to us. You see we have a full-time web minister by the name of Nathan Jones. He will personally respond to your questions. 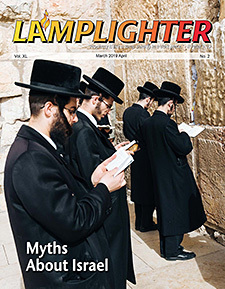 Another means of outreach that we use is our bimonthly magazine called the lamplighter. 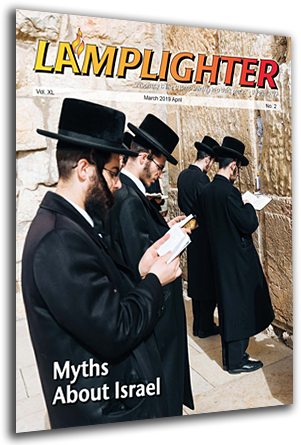 It is 20 pages long and each edition focuses on some major issue of Bible prophecy. You can arrange through our website to receive the magazine either electronically or by regular mail. We also produce many teaching videos and study materials like books and study guides. Again you will find detailed information about many of these on our website and on our website you will find a toll free number you can call to receive a free copy of our catalogue of videos and publications. And now, let me conclude with a special word to any person who might be viewing this program who has never received Jesus as your lord and savior. Politicians and philosophers do not have the answers to the world’s problems. The only hope for this world and for you is Jesus of Nazareth the son of God who came to this earth to die for your sins and mine. Your sins have separated you from God. Your only hope for reconciliation and life everlasting is to put your faith in God’s son Jesus as your Lord and Savior. Salvation is a free gift of God’s grace through faith in Jesus. There is nothing that you can do it earn it. But you much reach out and you must receive it in faith. To do that I urge you to pray a simple prayer like this one. Dear Heavenly Father, I confess to you that I am a sinner and that I need a Savior. I repent of my sins and reach out to your son Jesus in faith accepting Him as my Lord and Savior. Forgive me Father and empower me through your Holy Spirit to live the rest of my life for you, in Jesus name, amen. If you prayed that prayer with me please seek out a Bible-believing and Christ exalting church where you can make a public profession of your faith and manifest that faith in Christian baptism.